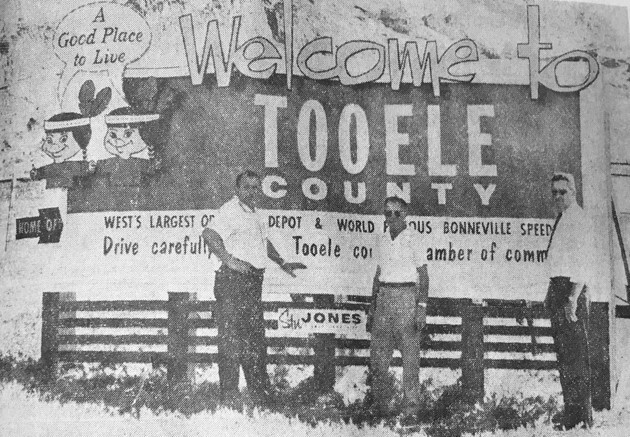 A photo in the June 22, 1962, edition of the Tooele Transcript’s frontage shows a new sign welcoming travelers on the highway to Tooele County. The caption reads, “Latest Sign Design.” George Buzianis, Ted Gillette and Jack Maher pose by one of the newly designed and painted Tooele County Chamber of Commerce signs that was located on the county line near Black Rock. The other sign, identical to the one shown, is located at Wendover. The highway has since been replaced with Interstate I-80 and the signs no longer stand to serve as welcome to visitors as they cross into the county. In the days when Stansbury Park was becoming a reality with a model home still under construction the golf course was just taking shape. On June 29, 1971, a photo shows the community and the golf course still taking seed. 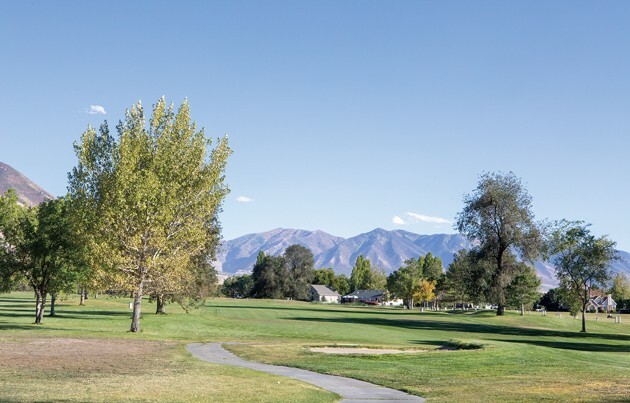 The caption reads, “Planting nearing completion on the front nine of Stansbury Park’s new championship golf course. 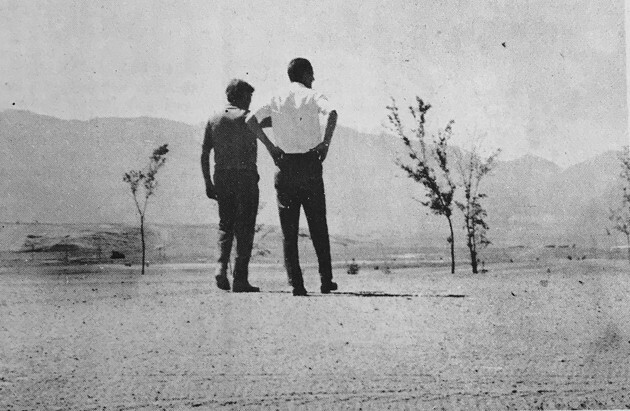 Norman Graft, course superintendent, and David Bingham planner, inspect the fairway of the first hole. The photo shows just how much the trees, the grass and community have grown in the nearly 50 years since the grass for the golf course was planted. 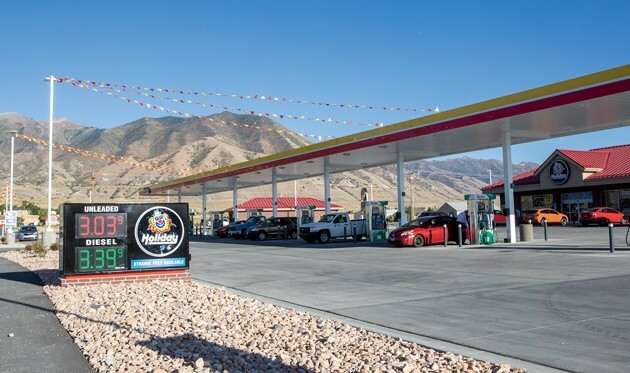 A photo taken on Wednesday at Tooele Valley’s newest gas station, Holladay in Stansbury Park, shows the current price for a gallon of gas at $3.03. 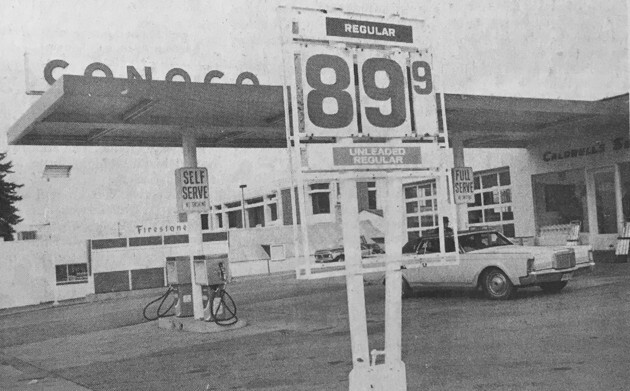 A big jump from the 89 cent price in 1986. 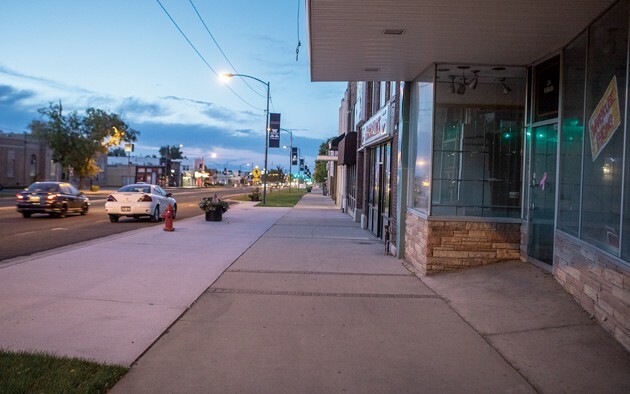 A recent photo shows the same stretch of Main Street with the fountains, lights and shrubs removed from the sidewalk area. 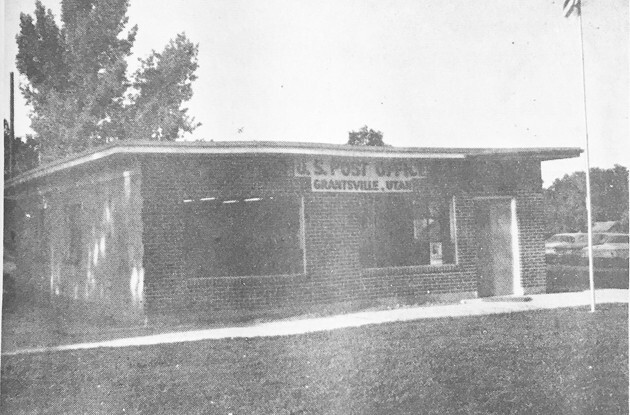 The Grantsville post office in in the October 10, 1932, edition of the Transcript Bulletin. 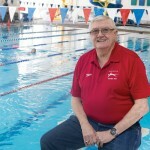 The building served as the community and was replaced by a bigger building years later. 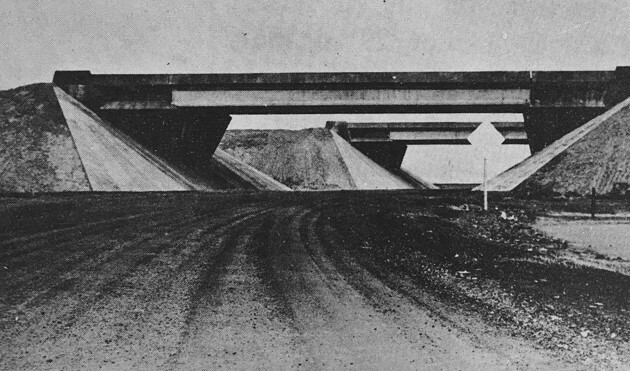 The caption from the November 30, 1971, edition of the Transcript Bulletin reads, “This structure at the Stansbury Interchange west of Grantsville is the only one of its kind in the United States. Built of concrete with huge pre-stressed beams the design eliminates center pillars making a safer underpass. A second structure of the this type, which may be the only other one like it in the world, is in Cananda. 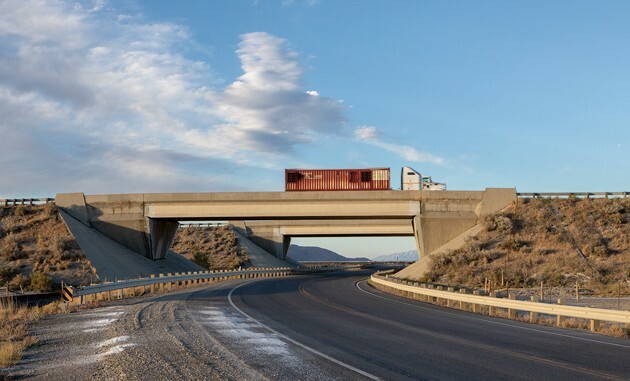 The bridge was part of the project to build the I-80 Interstate across the West Desert. A photo taken on Wednesday shows the bridge still intact with its original design allowing traffic to cross underneath 1-80 on SR-138. 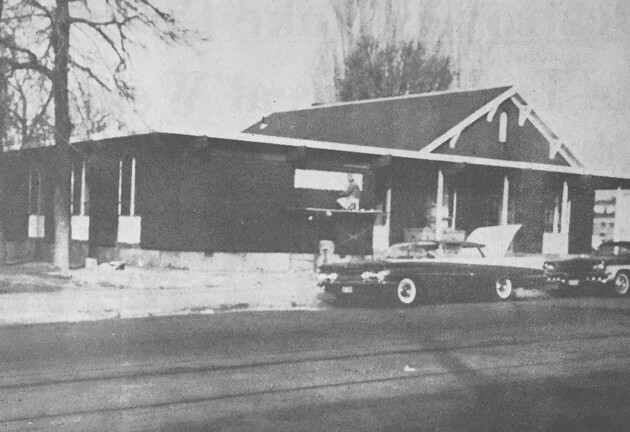 Although the style of cars has changed the look of the building on 66 West Vine Street in Tooele looks very similar to the photo that ran in the November 30,1962, edition of the Transcript Bulletin. 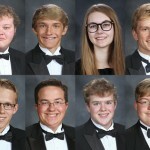 The caption reads. 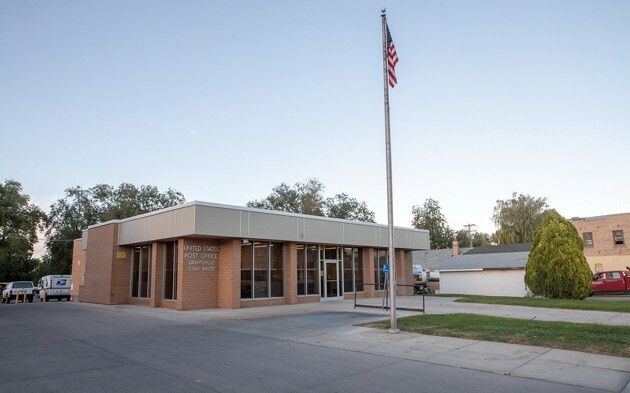 “New Addition - Tooele School Board offices have a look shown with the new addition rapidly near completion. 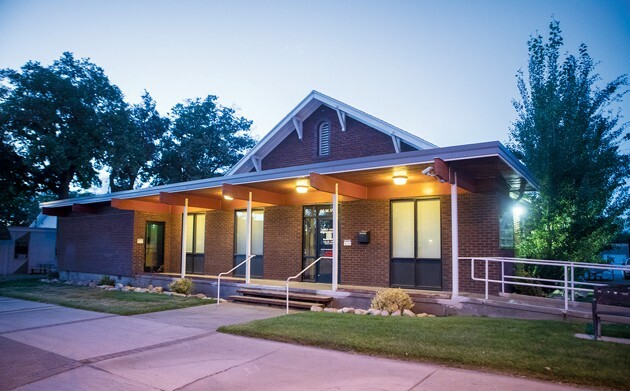 The building is no longer the school board offices but now houses the Tooele County Housing Authority. 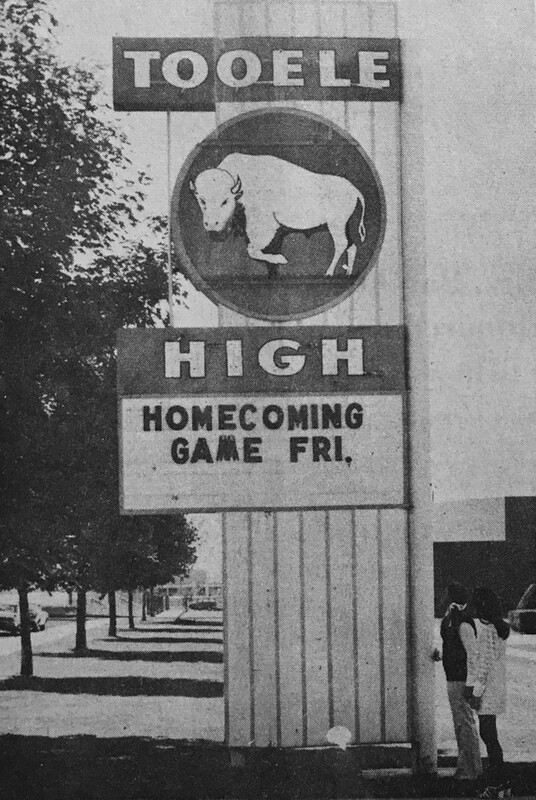 On September 10, 1971, a photo ran of Ann Russell and Sue Richmond checking on the announcement of the Tooele High School homecoming game Friday evening. The celebration included a parade and dance. 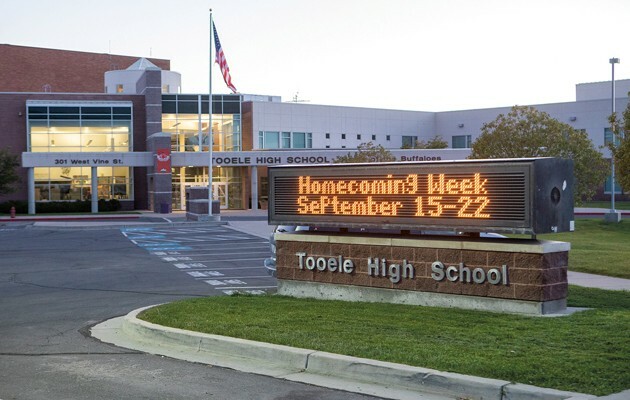 Tooele High School’s sign is different, but this Friday’s homecoming will still include a parade, football game and dance. 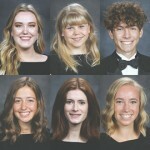 The more things change the more they stay the same is a common saying but a look back at our archives shows there’s a lot in Tooele County that that has changed and you can’t look back and say things here have stayed the same. Five of the eight archive photos show places that have changed dramatically. A gas station’s prices on the corner of Main Street and 100 South in Tooele. 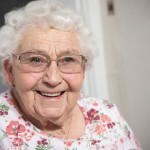 The gas prices have jumped from 89 cents a gallon to over $3. The gas station is no longer there and the property now houses the Tooele County Emergency Management Center. 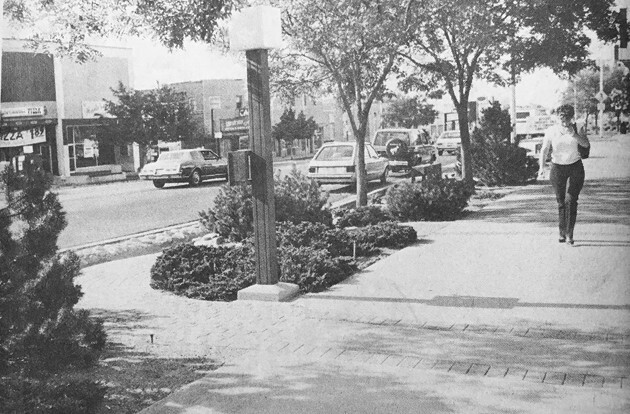 So take a look back with us with a few photos from1962, 1971 and 1986 to take a trip down memory lane or maybe see the way things used to be for the first time.